From the 7th to 10th of July, the “Emerging Design Month” event took place at the Museo del Traje clothing museum, Madrid, with the aim of introducing the talent of a new generation of designers. Nine of the most important Spanish fashion design schools presented their work at this exhibition. One of the participating centres was the Escuela de Arte Nº1 de Cantabria art school. The students of the 2nd year of the “Artistic Jewellery” higher degree had collaboration from the Ministry of Education, Culture and Sport of the Government of Cantabria. 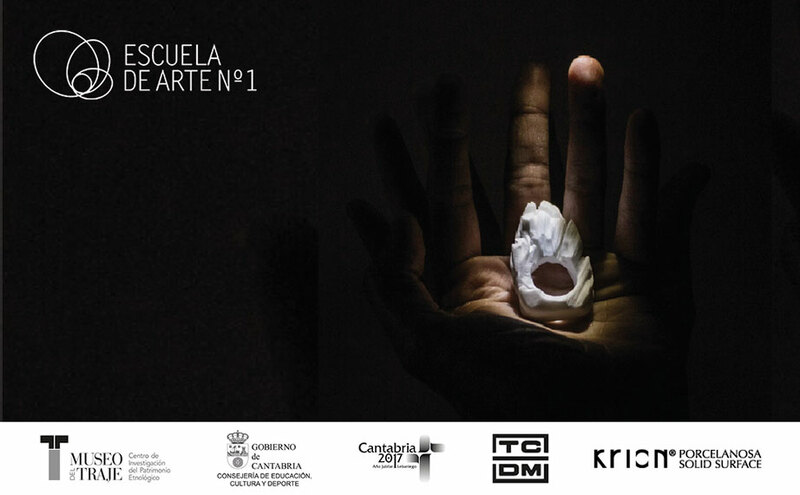 Transformaciones Cántabras de Madera “TCDM” contributed to the school, giving a speech in which students learned to get the most from KRION®, the solid surface from PORCELANOSA Group, helping the young artists to depict their concerns in these very interesting pieces of jewellery. KRION®, presented by PORCELANOSA Santander, is proud to have collaborated in this project for emerging designers. Congratulations to all participants!